Step out in style with this exotic Pershing boot. Expertly crafted with full quill ostrich and premium leather. Western stitching on the shaft give it a sharp look. Smooth round toe, cowboy heel and leather outsole. 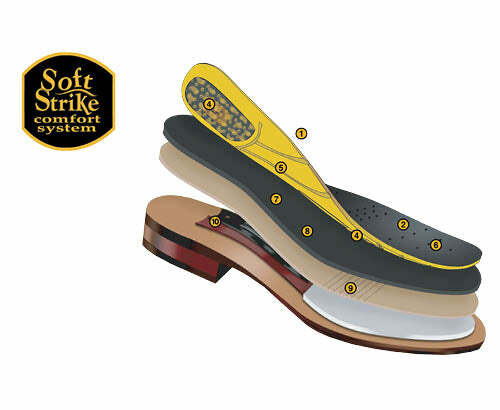 You can't beat the Soft Strike Removable Orthotic insole for comfort.